Garage Heating Archives | J.W. Brian Mechanical. Plumbing and Heating. How Much Does A Garage Heater Cost To Install In Edmonton? 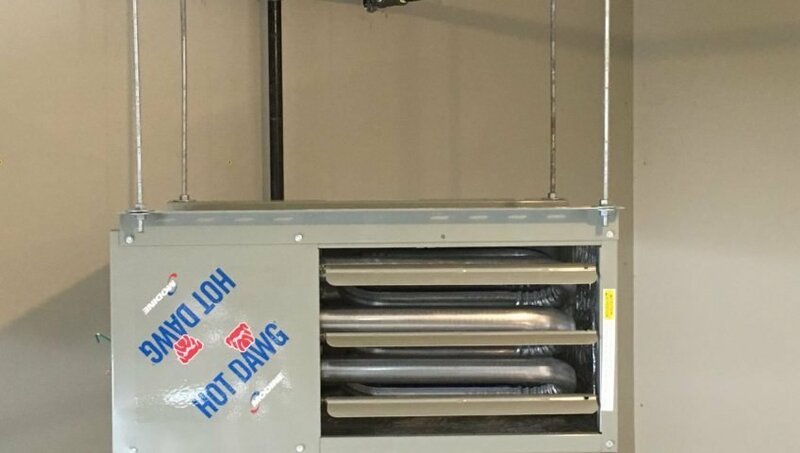 Many individuals ask us “How Much Does A Garage Heater Cost To Install In Edmonton?” Let us shed some light on this question. Installing a Garage Heater can be a nice addition to your level of comfort in your home. As a result they keep your car warm, keep the floor dry and are ideal for man caves or hobbyists. Do you have a living space above your garage? In addition to keeping your garage warm, a Garage Heater will assist in warming the floor of the rooms above your garage. Keeping your garage even a few degrees above zero will act as a buffer zone from frigid, outside temperatures. The cost of installing a Garage Heater will primarily be based on two factors. The size (BTU’s) and type of Garage Heater. The length of gas line required to provide gas to the Garage Heater. Whether you have a general inquiry or require an on-site consultation, please call us at (780) 249-1496 or email us at : info@jwbrian.com.